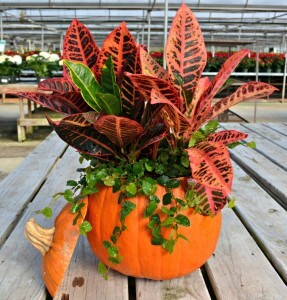 We carved out a fresh pumpkin and planted it with a Croton and Creeping Fig. 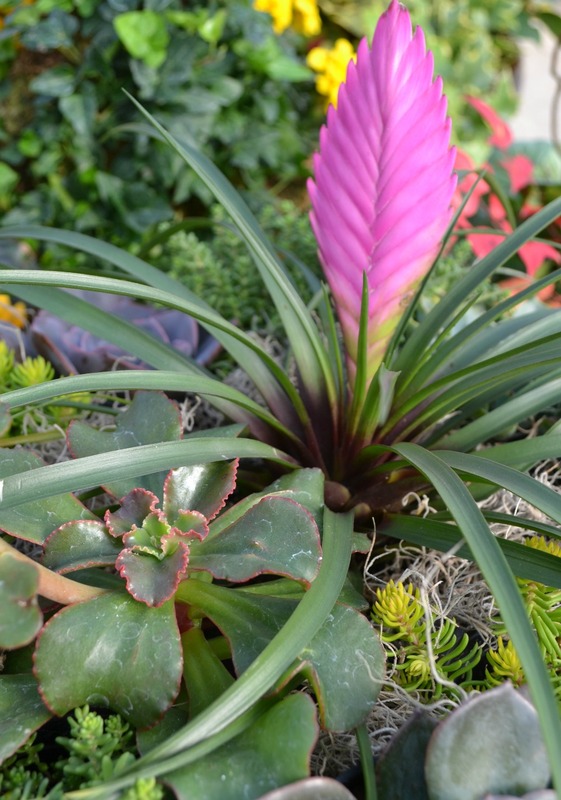 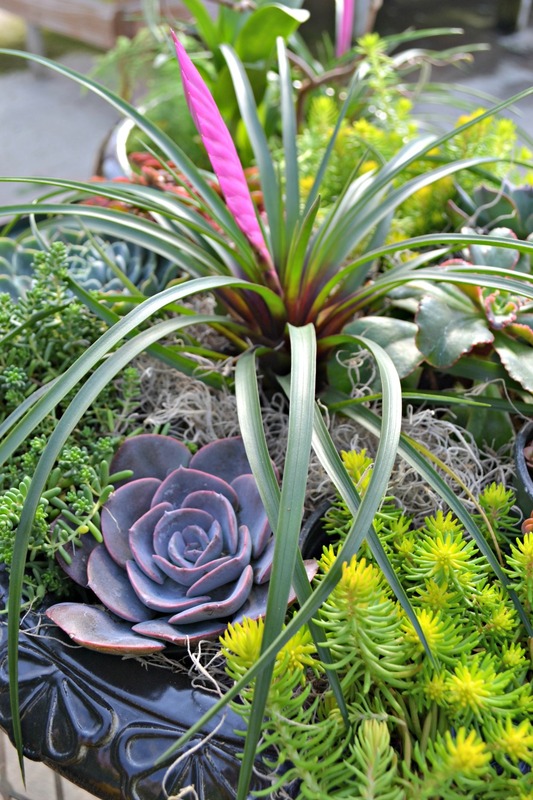 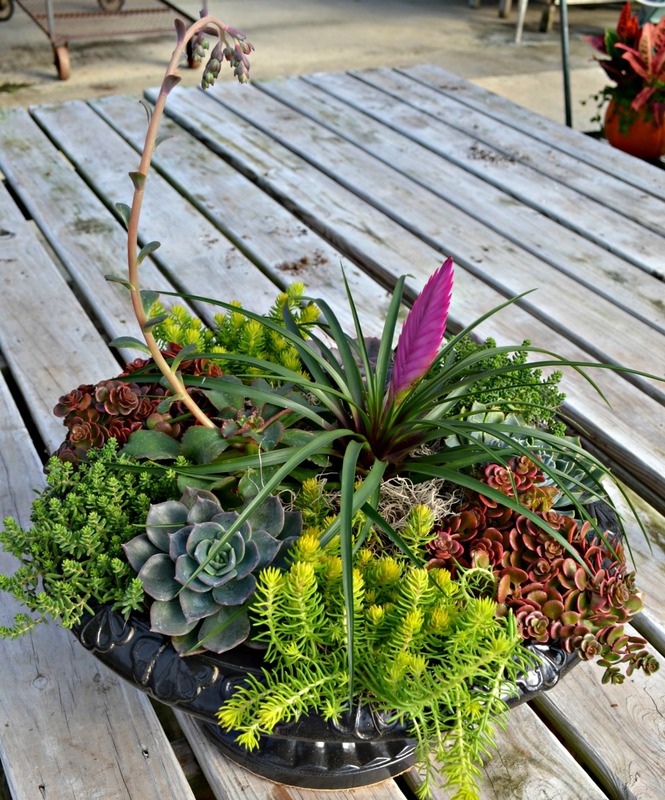 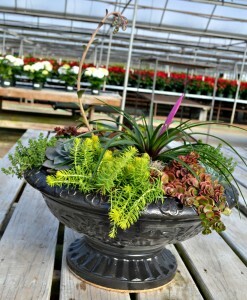 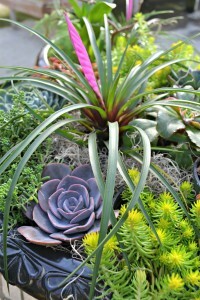 This versatile and low maintenance centerpiece features a variety of succulents paired with a blooming Bromeliad. 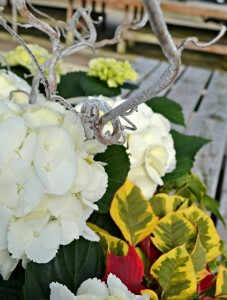 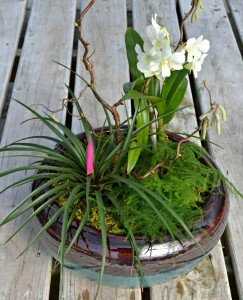 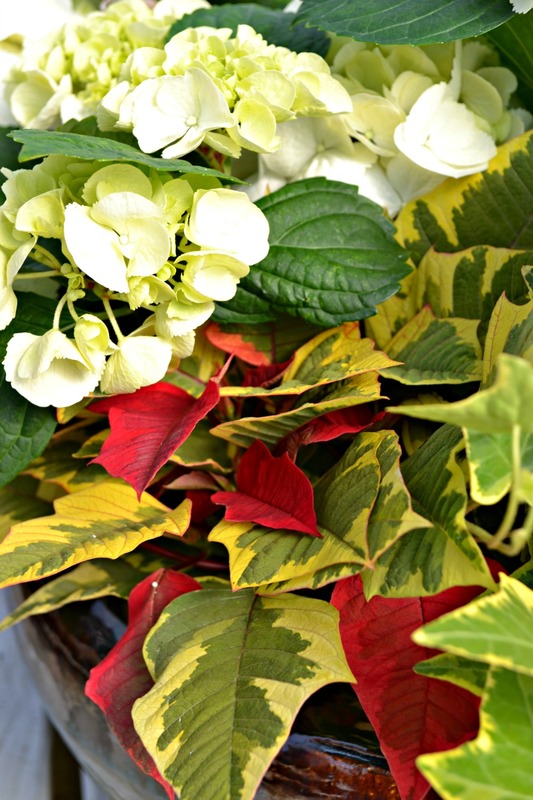 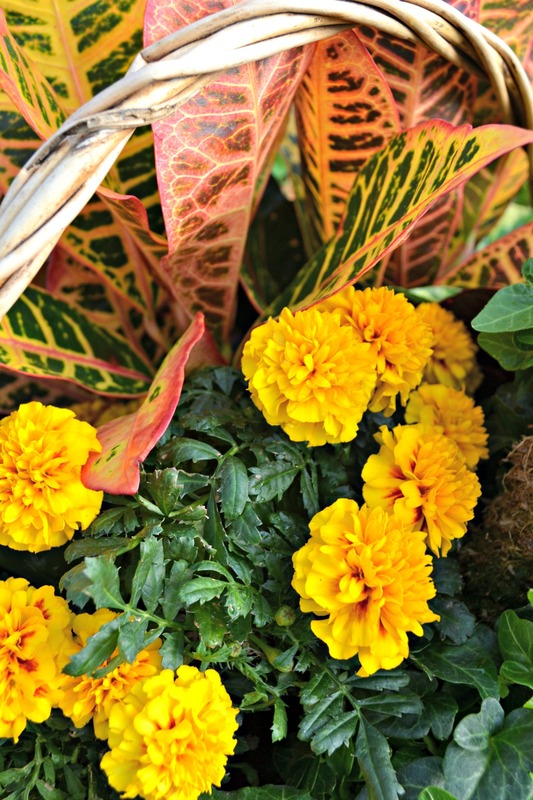 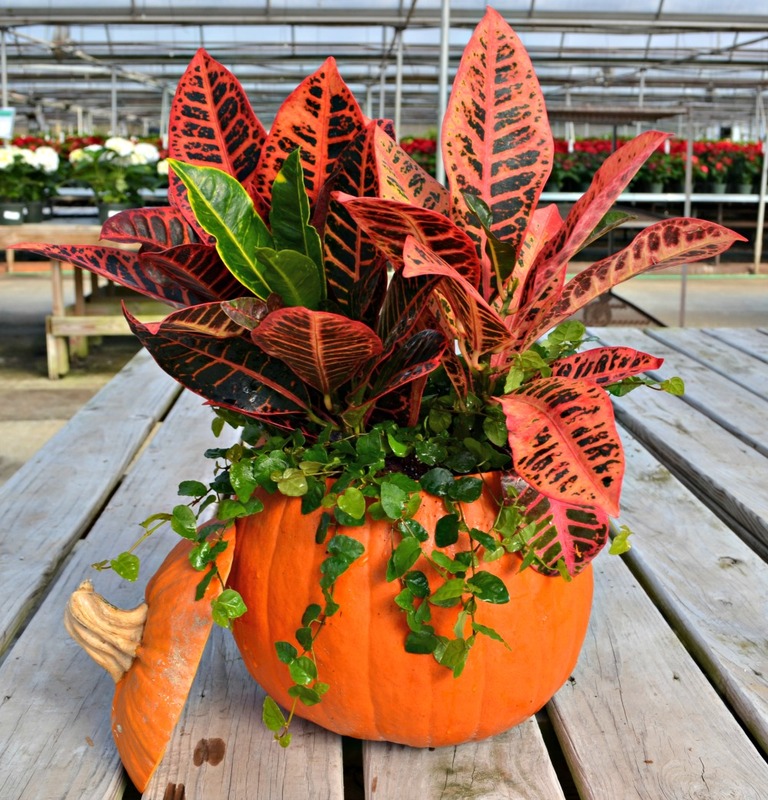 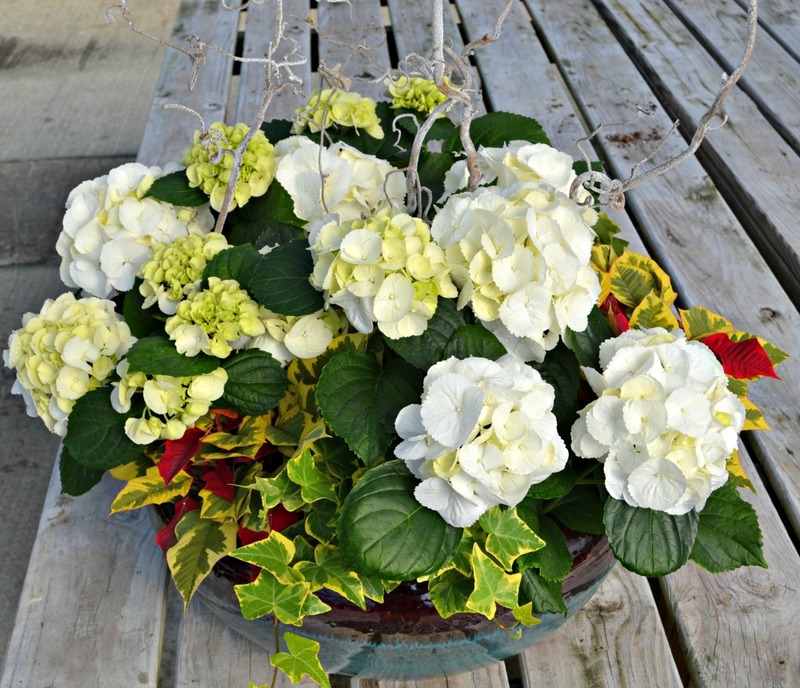 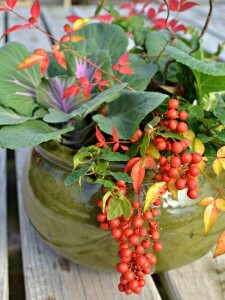 Planted in a low profile pot, this combination provides the perfect color and texture for your thanksgiving piece. 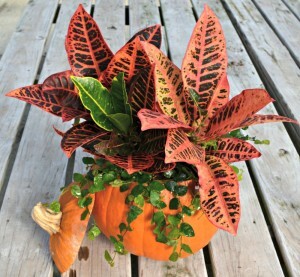 Not only a great centerpiece idea, but also a great hostess gift. 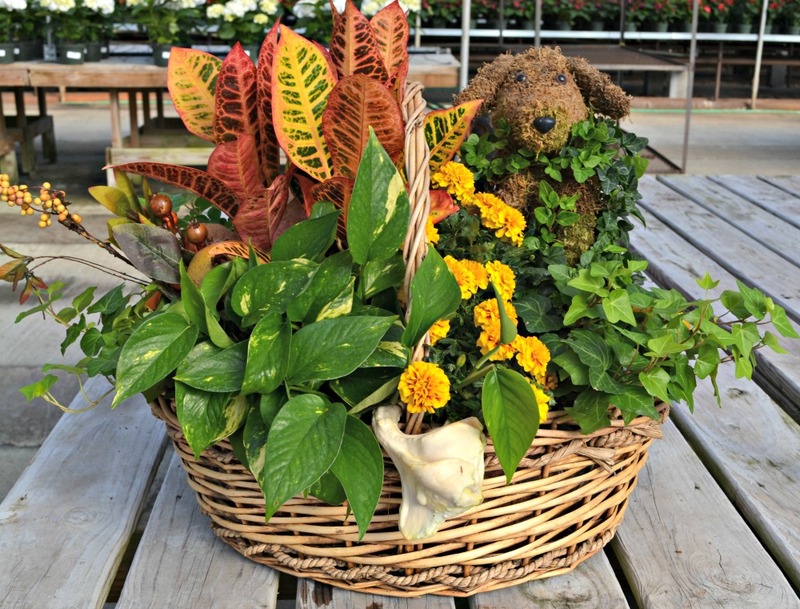 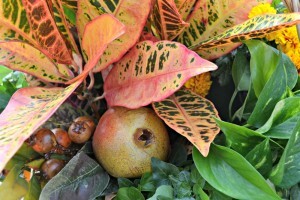 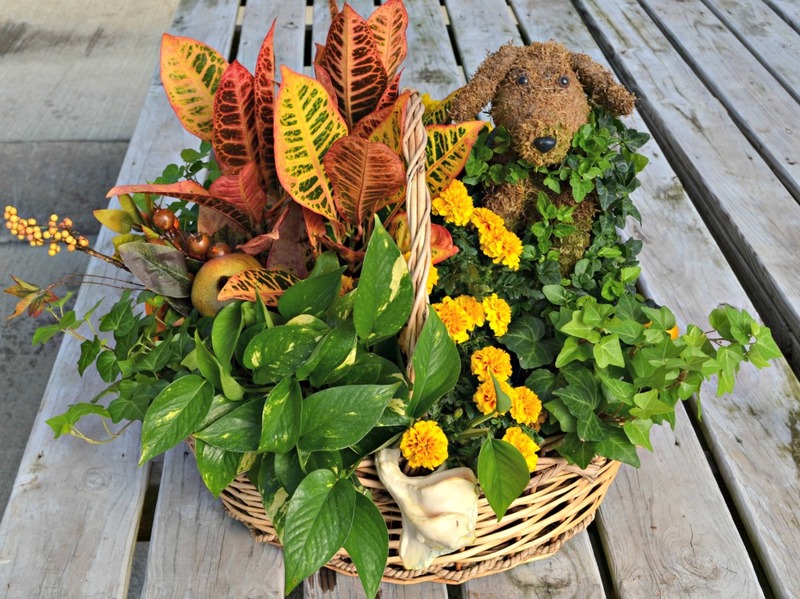 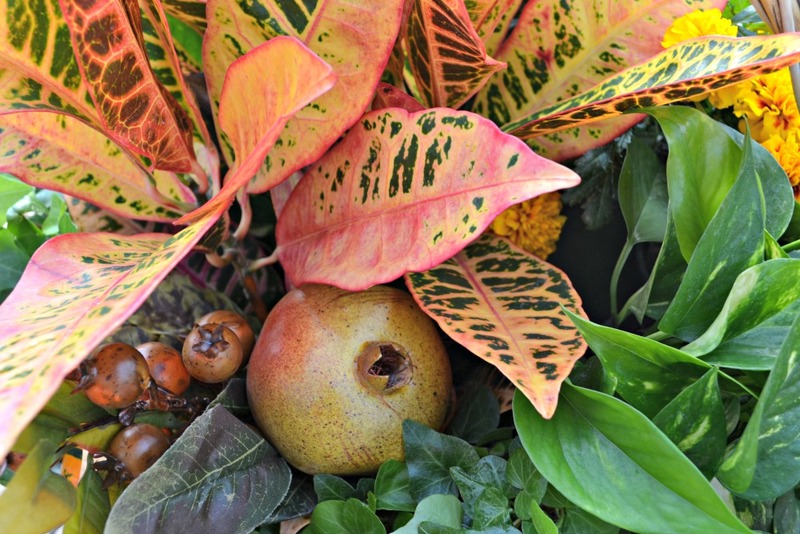 This basket features fall colors of Crotons, Marigolds and Pomegranates paired with Pothos and a unique dog-shaped ivy topiary. 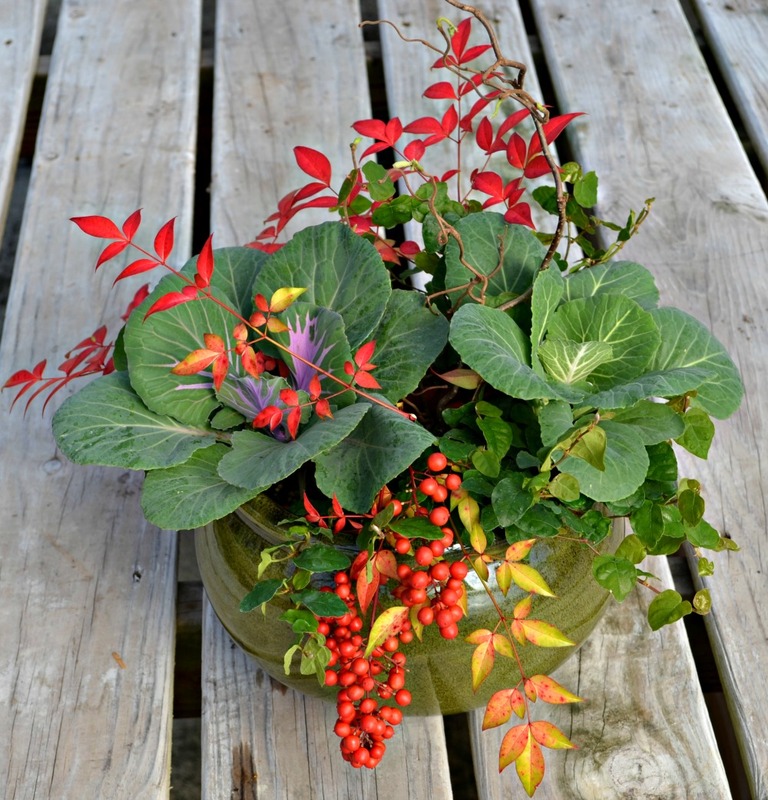 This vibrant centerpiece includes ornamental cabbage planted with creeping fig. 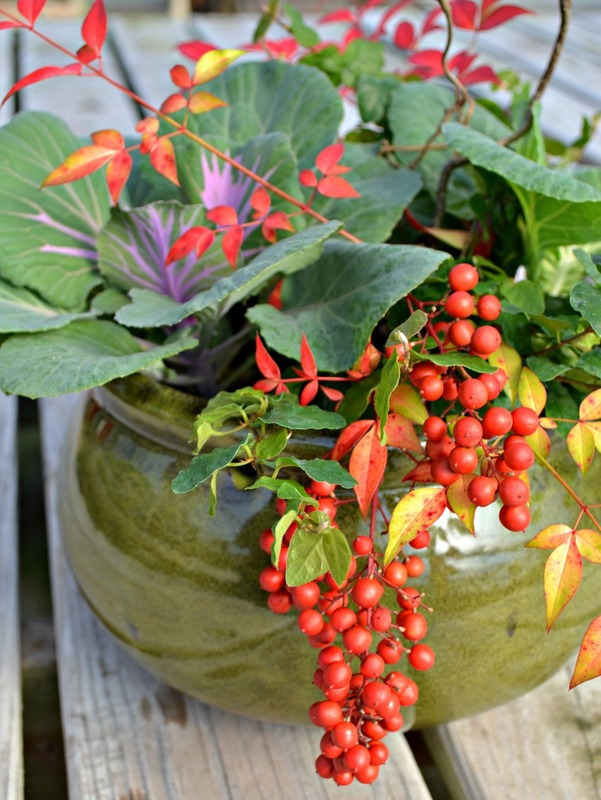 The berries and red foliage are cut from Heavenly Bamboo (Nandina domestica). 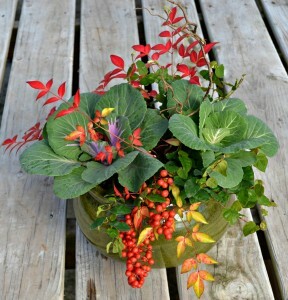 Why not use a Thanksgiving centerpiece that can transition to Christmas? This arrangement includes, Snow Ball Hydrangeas, Variegated Ivy, Tapestry Poinsettia and stems cut from a Harry Lauder’s Walking Stick (Corylus avellana) which were sprayed with flocking spray. 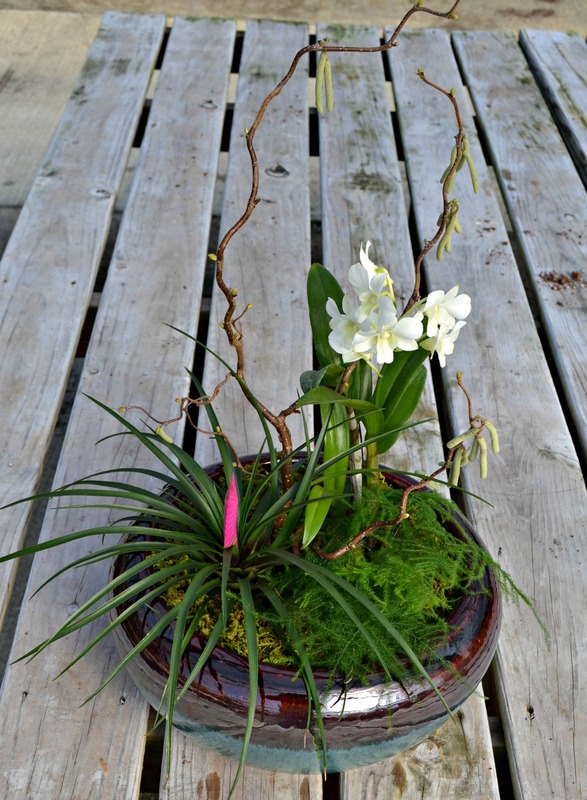 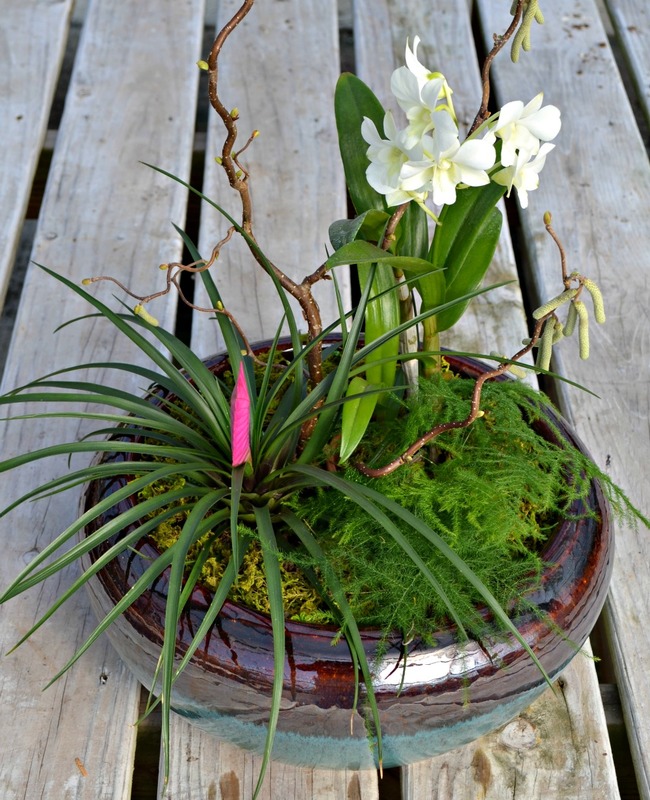 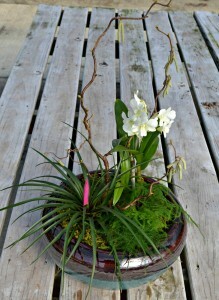 The clean lines of this arrangement combine a blooming Bromeliad, Plumosa fern and blooming orchid with the stems of a Harry Lauder’s Walking Stick (Corylus avellana). 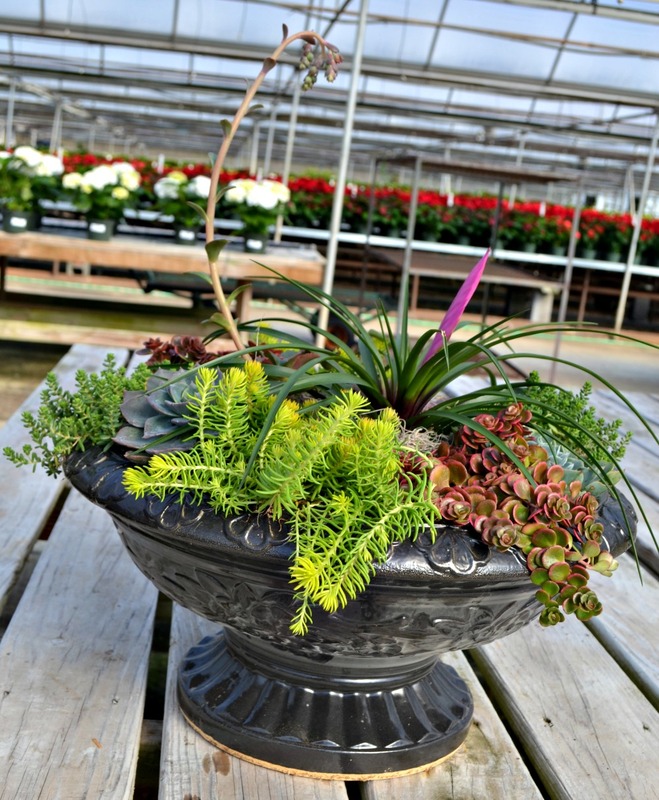 All of these arrangements were created by the talented Anna Y., Assistant Greenhouse Manager. 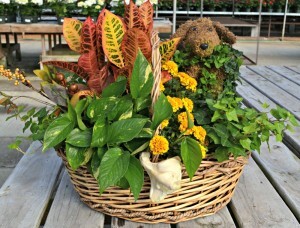 Let our experts help you create the perfect arrangement for your home or holiday table this season.